OLD PARKED CARS. : 1982 AMC Concord DL wagon. 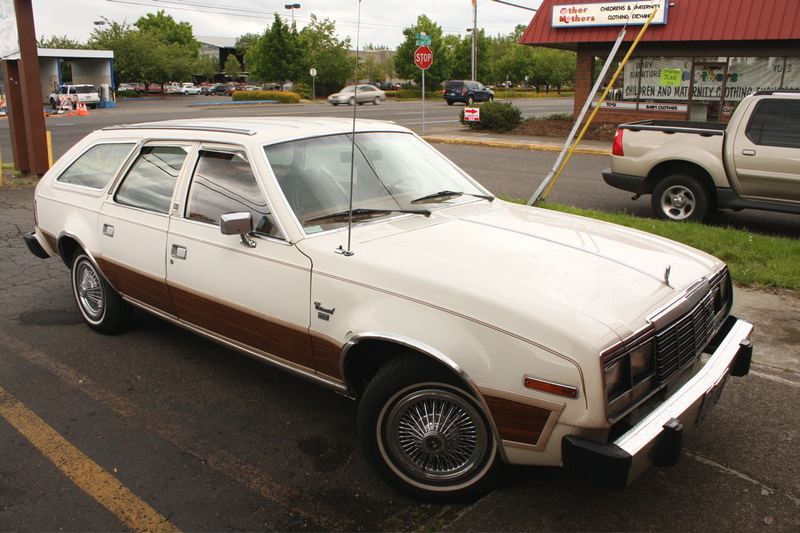 1982 AMC Concord DL wagon. Looking nice for sucha rare car. Now this car shouts 'malaise' era quite clearly. @Jacob, the Concord D/L was essentially a facelifted Hornet, still with rear-wheel drive. The 4WD Eagle that was based on this platform/body was indeed a quattro before its time! 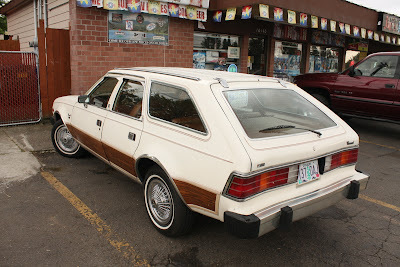 Those hubcaps and woodgrain....malaise era in a nutshell. These economical wagons were not bad looking and offered plenty of utility. They started life as the AMC Sportabout in the early seventies; they later evolved into the Concord, and then finally ended as the 4WD Eagle. 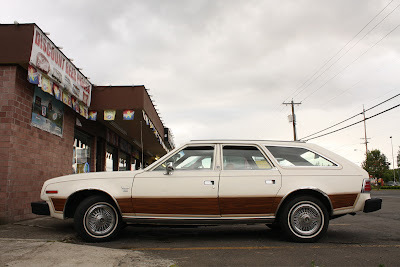 These were certainly better looking than contemporary Ford Fairmont, Dodge Aspen, or Chevy Malibu wagons.